Her name is Nimatsu Mayumi. She is 46 and produces a popular e-mail magazine for those seeking relief from sexless marriages. She married a doctor and had a son; but her husband was constantly busy and almost never came home. Why are so many unmarried? 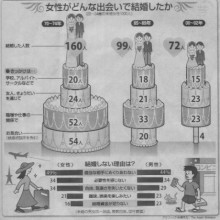 Of Japanese in their early 30s, 40% of men and 30% of women are single. Why? This chart illustrates shrinking opportunities to meet a suitable partner. 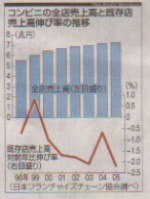 According to the Asahi ShimbunMay 26, 2006 morning edition story from which this chart is taken, Low income is a barrier, opportunities to meet are few. The numbers in the hearts are the average number of women, aged 20-34, married in each of the years in the periods covered (1970-74, 1985-1989, 00-02). The cakes tell us how they got married. From top to bottom layer: (1) meeting at school, during part time work, or during club activities, (2) through friends or siblings, (3) at the workplace, (4) through omiai, arranged meetings between prospects. The bar-chart at the bottom shows why men and women say they don’t get married. Again, from top to bottom: (1) Haven’t found the right person, (2) Don’t see the need, (3) Fear loss of freedom and fun, (4) Want time for hobbies and recreation, (5) Not enough money to marry. 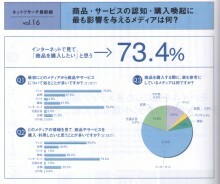 Writing in the April 1, 2006 edition of Senden KaigiDentsu corporate identity planner Yoshiro Okada makes the case for social marketing in Japan. Okada begins by writing that social communication is imperative to counter the consumer distrust created by a continuing series of corporate scandals. He argues, first, that corporations need to renew consumer trust by communicating ideals that consumers can believe in. Second, they should note that today’s stakeholders are constantly reevaluating companies and their brands, so continuous communicated is needed. Finally, he asserts, public expectations concerning the role of corporations is changing. It is no longer enough to make and sell good products. Companies must communicate their commitment to public as well as corporate welfare, understanding public welfare in terms broader than economic growth alone. In a market where CVS are literally almost everywhere, chain owners search for growth is leading them away from the male-oriented fast food that has been their stock in trade to fresh food in small quantities for women and seniors. 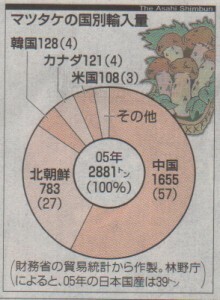 The 4/16/2006 morning edition of the Asahi Shimbun frontpages a story about convenience stores. As the chart shown here illustrates, CVS total sales growth (the blue bars) is slowing, and sales growth at existing stores (the red line) has dropped sharply year-on-year. Historically, chain store customers have been 70% male and heavy consumers of the prepackaged ready to eat or heat and serve food products. In their search for new growth, CVS chain operators are testing new stores that target women and seniors with fresh vegetables and fresh meat, sold in small quantities tailored to the needs of singles, DINKs and empty nesters. 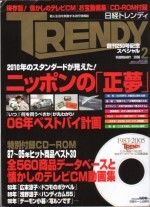 The 250th issue of Nikkei TRENDY is a retrospective looking back over the hit products and trends of the year 1987-2005. The cover headlines the story “We look ahead to everyday life in 2010! 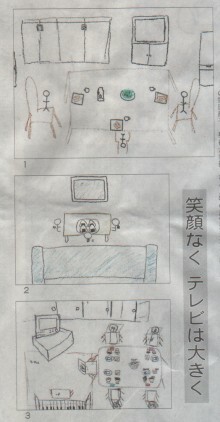 Proper Dreams for Japan.” What are those dreams? The first is space travel. TRENDY predicts that by 2010, flights into outer space will be widely available at about the cost of a high-class, luxury automobile. Other new products and services will appear. Examples include buttonless cell phones, homes whose lighting and heating costs are zero, treatments that eliminate baldness and wrinkles, highways free of traffic accidents, and shopping centers transformed into towns. The optimistic science-fiction world of the 1950s is alive and well in the pages of Nikkei TRENDY.